The world looks gorgeous, this morning! Amazing what a good night’s sleep can do to your batteries… Anyway, we take stock of our surroundings while enjoying our coffee. This bay is a jewel! 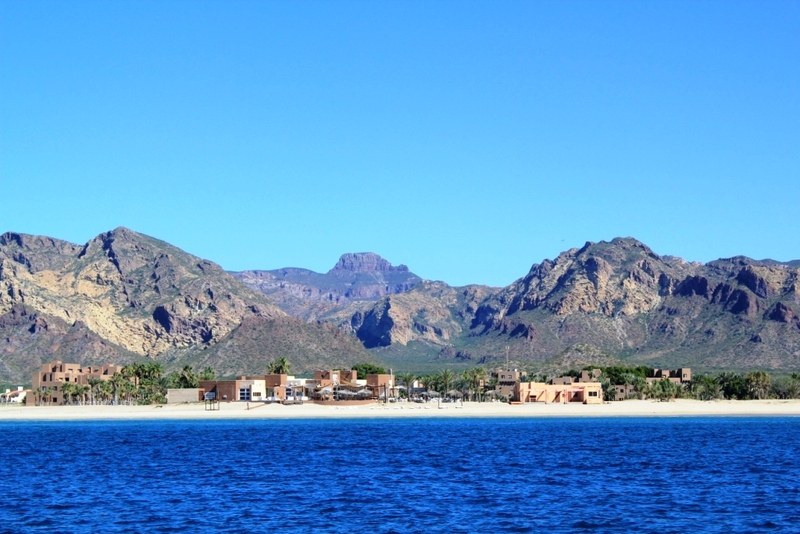 White, sandy beaches backed by the rugged Tetakawi Mountain (Tetas de Cabras / Goat’s Teats). 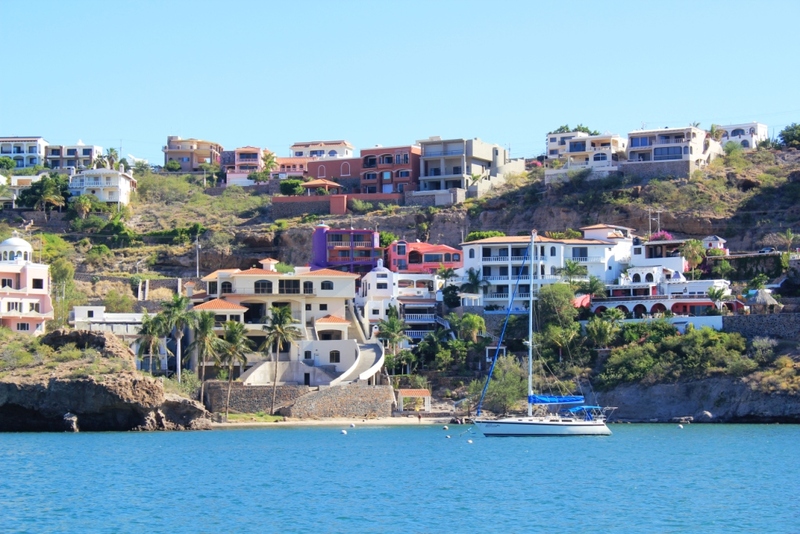 Lots of vacation homes and a couple of hotels dot the bay. In the past there was also a Club Med resort here, but it has been closed a few years ago. 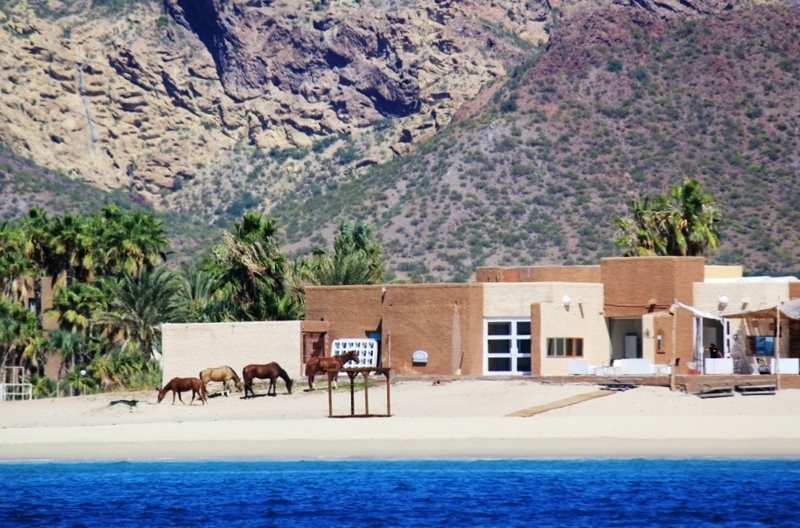 In the late 1960s the satirical anti-war movie Catch 22 was filmed here, the remnants of the set are still intact today and horseback excursions are available to go explore. Lots to do and see! 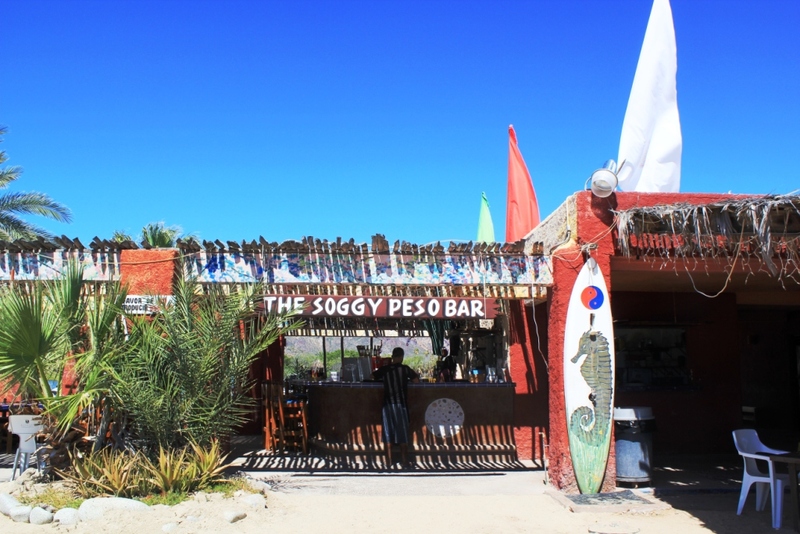 Bahia Algodones is also home to the famous and colorful Soggy Peso Beach Bar, a must-go spot for tourists. Of course we obliged! 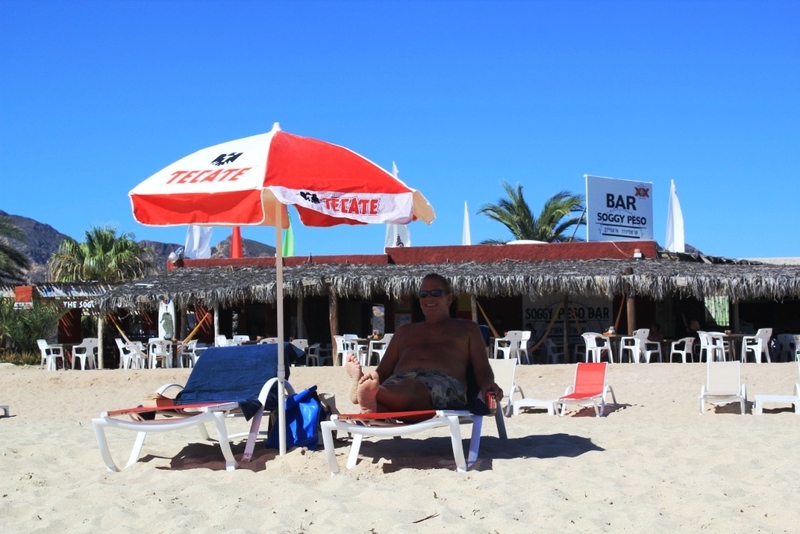 Spending a day on the beach while friendly and smiling people bring you food and drinks ranks very high on our list of things to do. One whole afternoon was spent anxiously watching a big motor vessel drag his anchor. The afore mentioned vessel was anchored mere feet from Camelot to start with, and seeing it drag closer and closer was scary. The big boat was left unmanned, the owners left for a few hours. Tom and I spent hours devising emergency maneuvers to avoid disaster, none of which would have worked since the big boat was sitting on our anchor… Oh, the curses! Luckily the owner returned before dark and moved a safe distance away. Crisis averted! 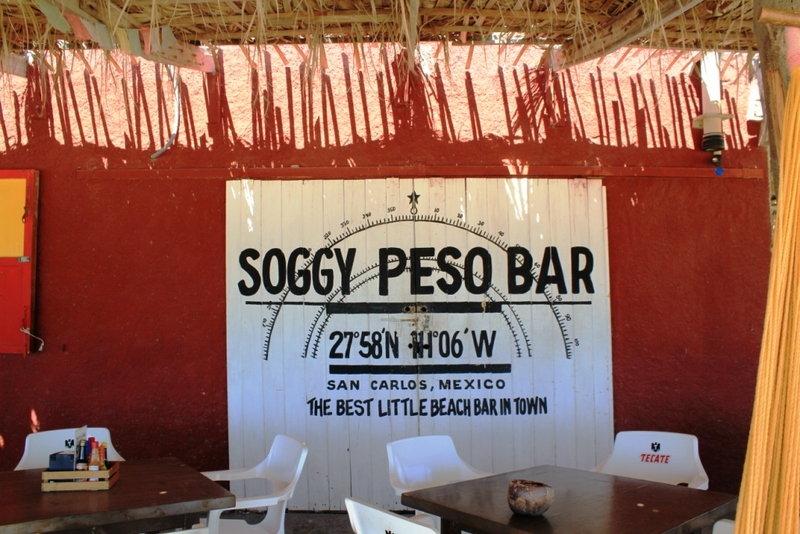 The famous Soggy Peso Bar! I was mildly nervous with these less than perfect conditions. performance, and with an appreciative grunt he took the wheel back to bring Camelot into the San Carlos Marina. 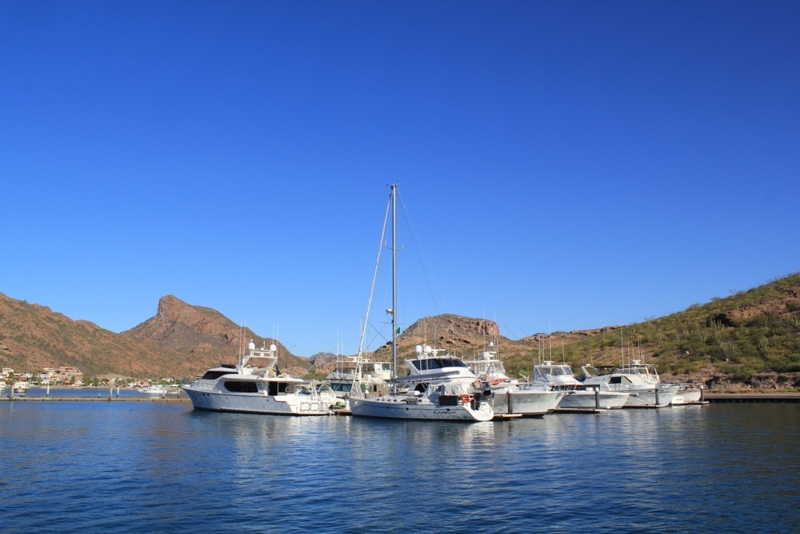 Camelot at rest in its spot, a sweet end-tie on Dock S with the BIG boats!